Great British Restaurant, also known as GBR, is located in the gorgeous boutique Dukes Hotel London. Earlier this month I had the chance to stay at the hotel and sample the dinner menu at GBR - something which I was very excited about. Following a recent refurbishment, GBR is now a classy all-day dining restaurant with a slick and sophisticated vibe. Everything from the attentive staff to the champion bartender exude luxury. The menu focuses on simple dishes cooked exquisitely in a truly British style. 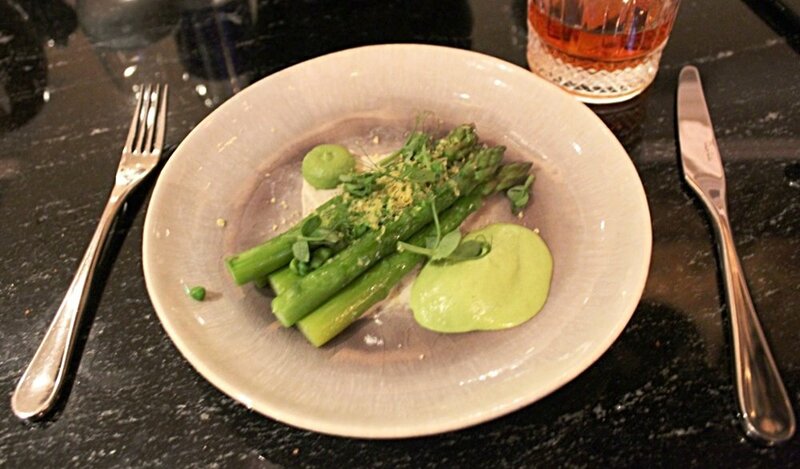 We tried the Wye Valley asparagus to start with fresh peas, cured egg yolk, burnt onion mayonnaise, as well as scallops from Northwest Scotland served with broccoli, roasted almond milk, scallop roe. Both dishes were light and sumptuous and made great dishes to start with. For our main course we tried the barbary duck with salt baked turnips, puffed spelt, shallots braised, in duck dripping and the ‘GBR’ Burger which is served with pulled pork, apple sauce, smoked cheddar. The flavours in both dishes were sharp, wholesome and very enjoyable. Our desserts were also delicious as we tried the deconstructed strawberry cheesecake and Yorkshire rhubarb. The a la carte menu offers the same dishes for starters and as a main course, with differing portion sizes and prices depending on what you choose. Starters are priced at about £9 with main courses at £16. 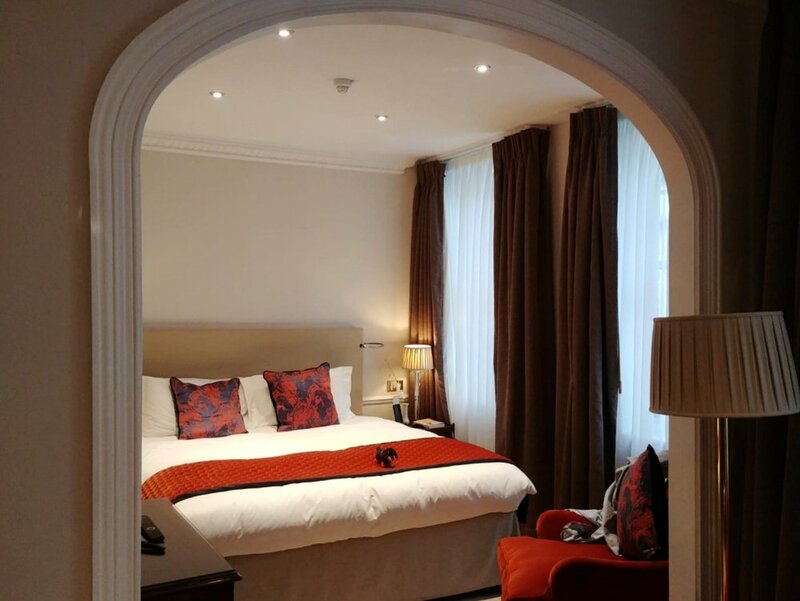 GBR is located in the Dukes Hotel, a lovely luxurious hotel tucked away in the heart of Mayfair. With facilities including restaurants, a luxury bar, spa and gym, the hotel offers a variety for all. We stayed in the suite which included Floris toiletries, tea and coffee service and access to the spa and gym facilities. The breakfast, also served in the GBR, was one of the best I’ve had in a long time! The menu and table service includes a selection of specially prepared to order fruit salads, cooked breakfasts, dessert and drinks. The perfect way to start the day! GBR is a luxury restaurant with a high standard of service, food and cocktails. The location is away from the hustle of Mayfair but still offers all that is expected from a high-end restaurant. For an escape in the centre of London, GBR and Dukes Hotel London are ideal. Special thanks to GBR and Dukes Hotel London for their hospitality!